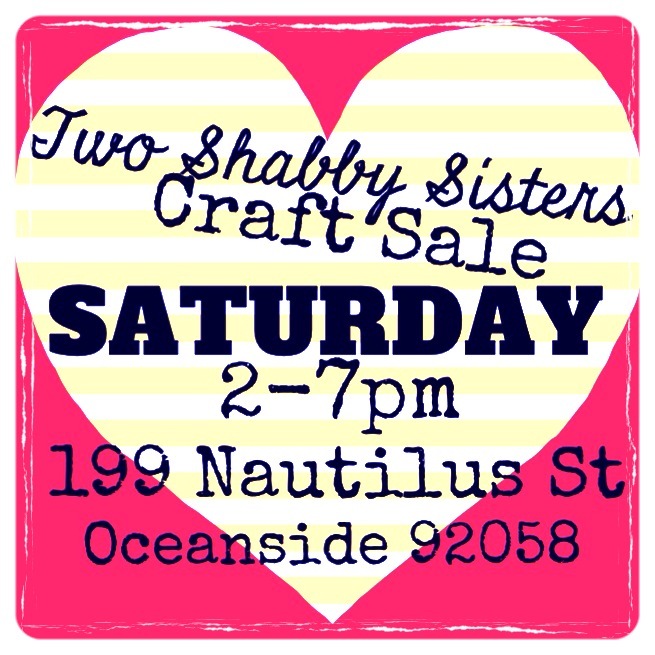 Round 2: Two Shabby Sisters Craft Sale! It would appear that I am a glutton for pain. Yes, I am doing yet another craft fair this weekend… in just 4 days! Remember the lovely girls from Two Shabby Sisters? If you don’t, then do yourself a favor and click here: https://leftylex.com/2013/06/20/sdicm-vendor-two-shabby-sisters/. Well, they have decided to unload of a few more of their leftover SDICM lovelies by having a fair of their own and asked if I would like to join them. Of course! Needless to say, I am going to be stitching my little heart out for the next 3 days so that I am well stocked for the TSSCS. Wish me luck! And what providence, I haven’t unloaded my car yet! And here’s my tiny ad here: http://sandiego.craigslist.org/nsd/eve/3896049403.html be sure to pass this along. Cheers!